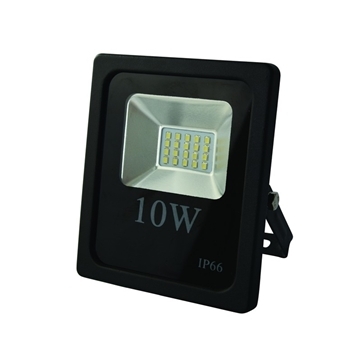 Colorful LED flood lighting power of 10W. Waterproof rating IP65 - waterproof. Comes with a remote control. Taiwan EPISTAR chip quality. 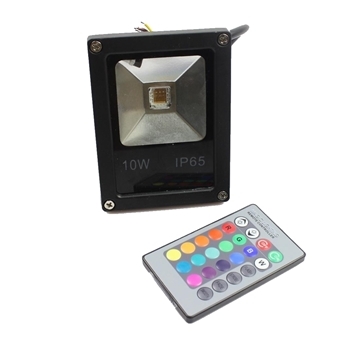 Control the color of the light / automatic replacement by a sign 16 colors. LED life of 50,000 hours. Luminous Flux of 900 lumens. Illumination angle of 120 degrees. 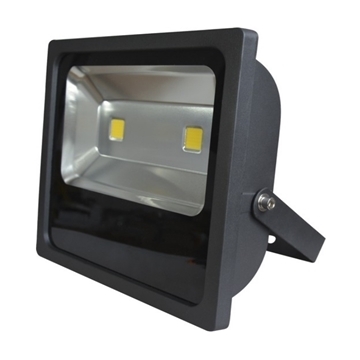 Suitable for garden, park, house walls, balcony, views, etc. 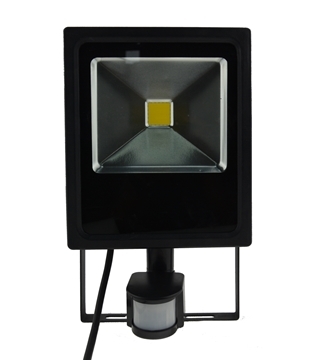 LED flood lighting with power of 10W with motion sensor to a distance of 3 meters. Light fixture made of aluminum - black color. 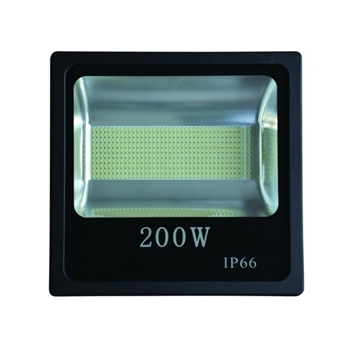 Taiwan Chip Power quality of EPISTAR sized 30m - powerful with 100lm / w. 3-year manufacturer's warranty.Luminous Flux of 700 to 800 LED life of 50,000 hours. Light color: white. IP65 protection factor - against water. Suitable for home use, Exterior: parking, garden, storage, driveway, yard, and more. 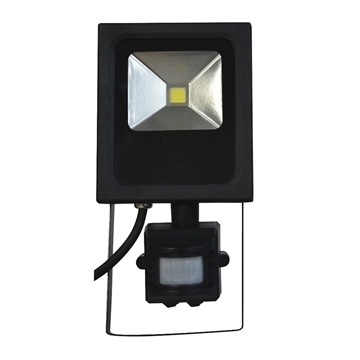 LED flood lighting with power of 10W with a motion sensor that includes a light flux regulator and a distance regulator, and the regulator of time. LED life of 50,000 hours. Light color: white, warm white. IP65 protection factor - against water. 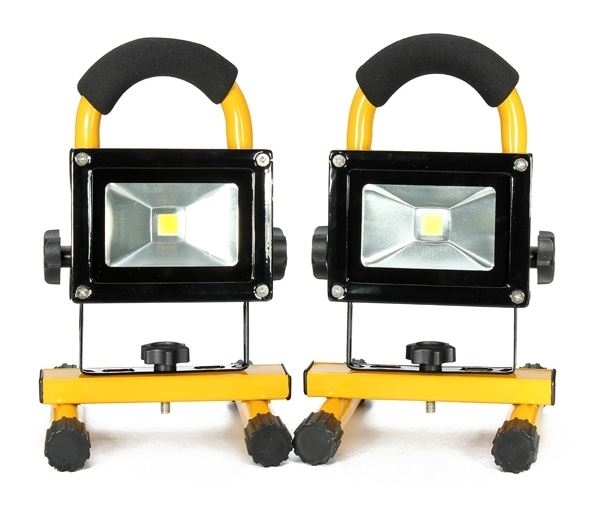 Suitable for home use, Exterior: garden, driveway, yard, warehouse, parking and more. 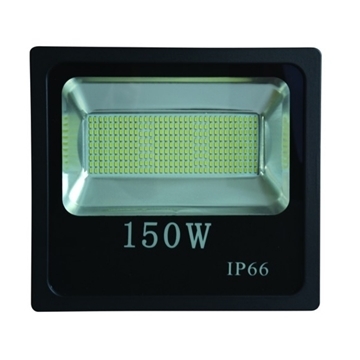 150w LED projector - especially in strong light - also suitable for industrial use. Quality lighting fixture. You can choose light colors: white, warm white. 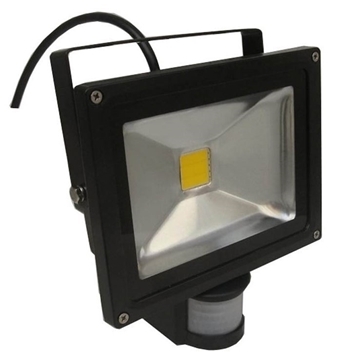 LED flood lighting with long light flux of 12,000 to 13,500 lumens - a very large area illumination. LED lifetime is 50,000 hours. High isolation rate: IP65. 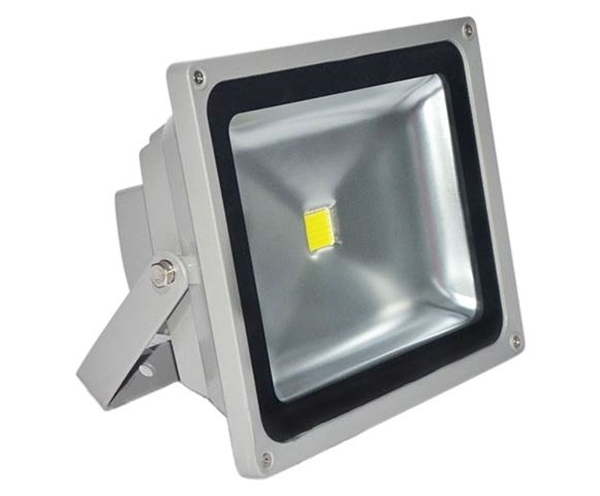 Suitable for outdoor use - Water proof: industrial buildings, warehouse, parking, garden, balcony, buildings, etc. 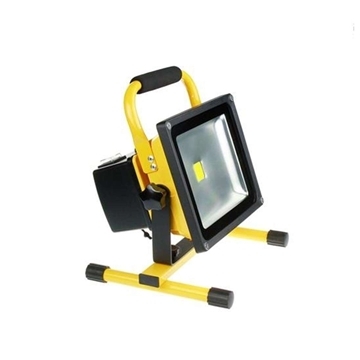 200w LED projector - especially in strong light - also suitable for industrial use. Quality lighting fixture. You can choose light colors: white, warm white. 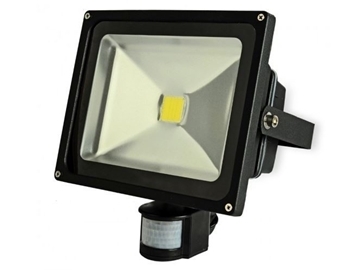 LED flood lighting with long light flux of 16,000 to 18,000 lumens - a very large area illumination. LED lifetime is 50,000 hours. High isolation rate: IP65. 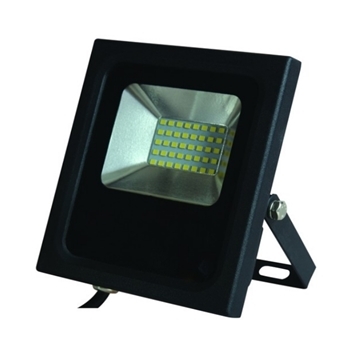 Suitable for outdoor use - Water proof: industrial buildings, warehouse, parking, garden, balcony, buildings, etc. 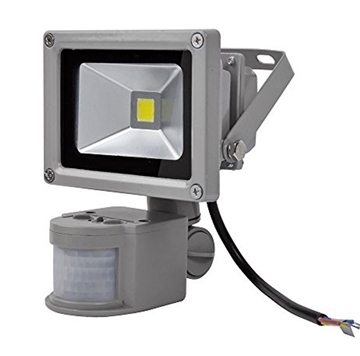 Colorful LED flood lighting power of 20W. Waterproof rating IP65 - waterproof. Comes with a remote control. Taiwan EPISTAR chip quality. 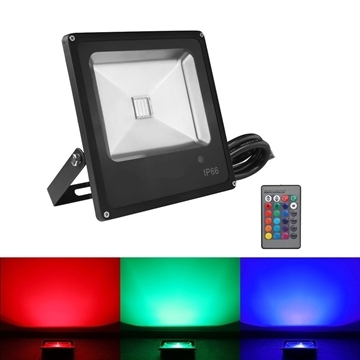 Control the color of the light / automatic replacement by a sign 16 colors. LED life of 50,000 hours. 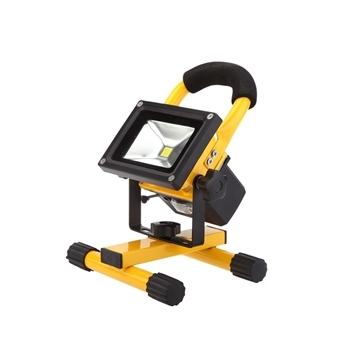 Luminous Flux of up to 1800 lumens. Illumination angle of 120 degrees. Suitable for garden, park, house walls, balcony, views, etc. Powerful projector LED 20w with motion sensor consisting of three regulators: the luminous sensitivity distance, time of stay. 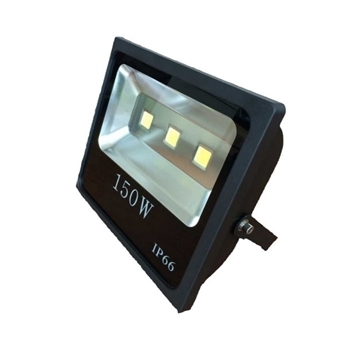 Luminous Flux: 1300-1500 Lumens LED life of 50,000 hours. 3-year manufacturer's warranty. IP65 protection factor - against water. Light color: white. 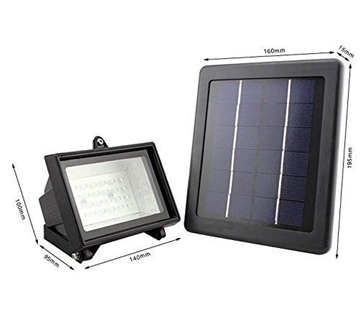 Suitable for home use, Exterior: parking, balcony, yard, garden, outdoor use, etc. Installation height: 2-12 meters. 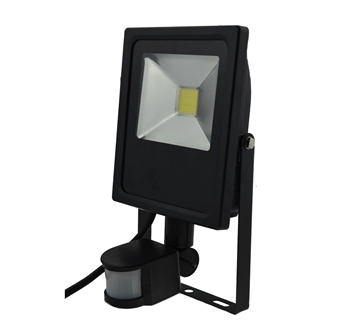 Colorful LED flood lighting power of 30W. Waterproof rating IP65 - waterproof. Comes with a remote control. Taiwan EPISTAR chip quality. 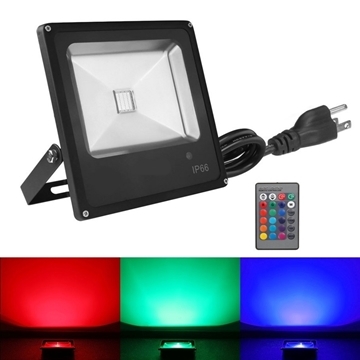 Control the color of the light / automatic replacement by a sign 16 colors. LED life of 50,000 hours. Luminous Flux of up to 2700 lumens. Illumination angle of 120 degrees. Suitable for garden, park, house walls, balcony, views, etc. Installation height: 2-12 meters. 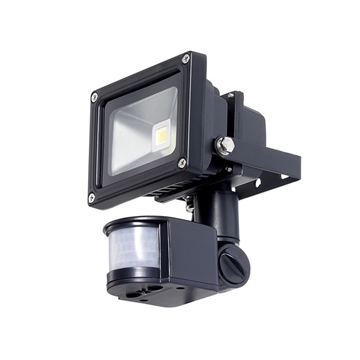 LED flood lighting with power of 30W with motion sensor to a distance of 3 meters. Light fixture made of aluminum black. Taiwan Chip Power quality EPISTAR size of 30m. Manufacturer Warranty 3 years. Luminous Flux of 2100-2400 lumens. LED life of 50,000 hours. Light color: white. IP65 protection factor - against water. Suitable for home use, Exterior: parking, garden, storage, driveway, yard, and more. Installation height: 2-12 meters. Powerful projector LED 30w with motion sensor consisting of three regulators: the luminous sensitivity distance, time of stay. Luminous Flux: 1950-2250 Lumens LED life of 50,000 hours. 3-year manufacturer's warranty. IP65 protection factor - against water. Light color: white, warm white. 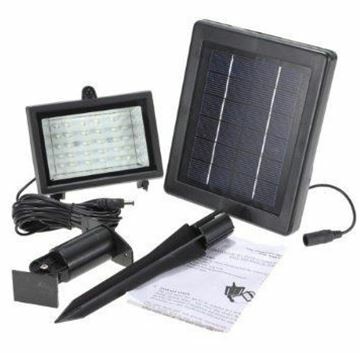 Suitable for home use, Exterior: parking, balcony, yard, garden, outdoor use, etc.. Installation height: 2-12 meters. 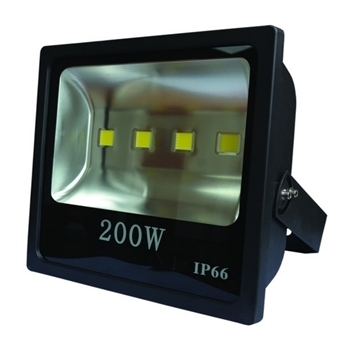 Colorful LED flood lighting power of 50W. Waterproof rating IP65 - waterproof. Comes with a remote control. Taiwan EPISTAR chip quality. 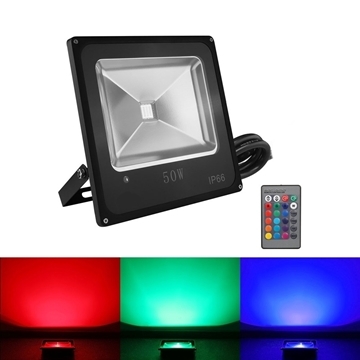 Control the color of the light / automatic replacement by a sign 16 colors. LED life of 50,000 hours. 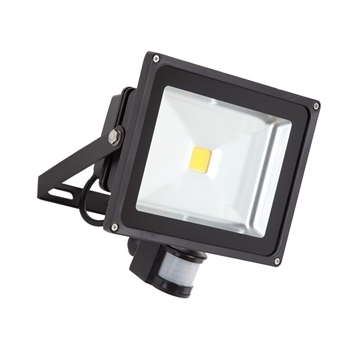 Luminous Flux of up to 4500 lumens. Illumination angle of 120 degrees.Lighting modes: fixed / replaced / dimming. Suitable for garden, park, house walls, balcony, views, etc. Installation height: 2-12 meters. 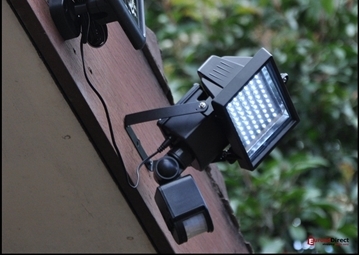 LED flood lighting with power of 50W with motion sensor to a distance of 2-12 meters. Light fixture made of aluminum black. Taiwan Chip Power quality EPISTAR size of 30m. Manufacturer Warranty 3 years. Luminous Flux of 3500-4000 lumens. LED life of 50,000 hours. Light color: white. IP65 protection factor - against water. Suitable for home use, Exterior: parking, garden, storage, driveway, yard, and more. Installation height: 2-12 meters. Powerful projector LED 50w with motion sensor consisting of three regulators: the luminous sensitivity distance, time of stay. 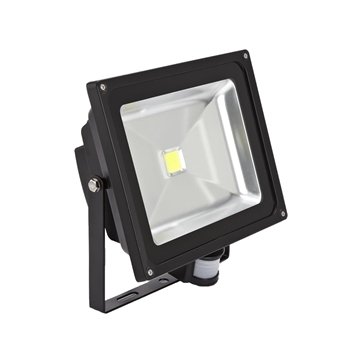 Luminous Flux: 3250-3750 Lumens LED life of 50,000 hours. 3-year manufacturer's warranty. IP65 protection factor - against water. Light color: white, warm white. 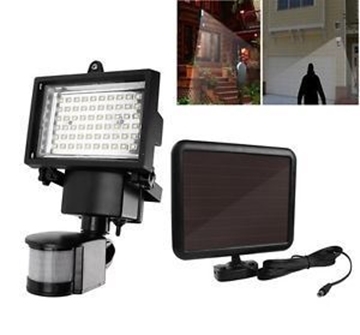 Suitable for home use, Exterior: parking, balcony, yard, garden, outdoor use, etc. Installation height: 2-12 meters. 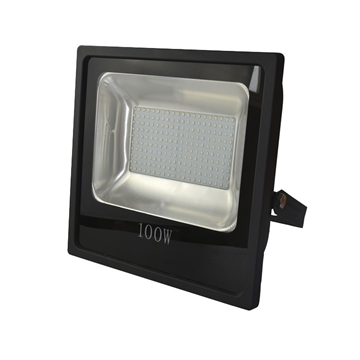 Flood lighting - the most powerful LED projector supplier of 100w - SMD technology with maximum light flux. Quality lighting fixture ultra-slim black. Lighting color: heart, warm white. For external use - High safety factor of IP65. LED lifetime is 50,000 hours. Suitable for gateway, car, halls, garden, terrace, courtyard, gazebo and more. Installation height: 2-12 meters. 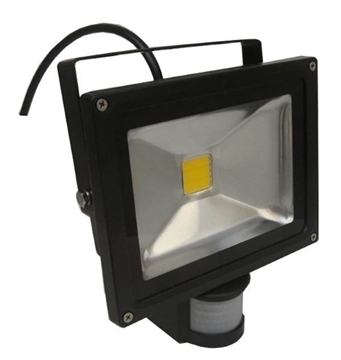 Flood lighting - LED projector particularly strong supplier of 150w - SMD technology for optimal light flux. Lighting color: heart, warm white. Quality reflector. Outdoor use - waterproof - high protection factor of IP65. Quality lighting fixture ultra-slim black. LED lifetime is 50,000 hours. Suitable gateway, car, halls, garden, terrace, courtyard, gazebo and more. Installation height: 2-12 meters. 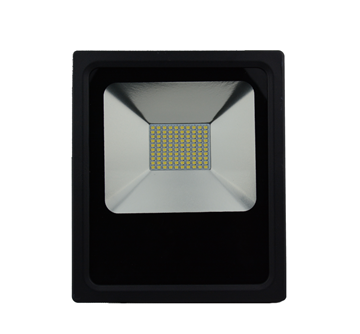 LED projector light 200w SMD- particularly strong - suitable for use in high-quality lighting Tasiiti.gof - 3 years warranty. You can choose light colors: white, warm white. 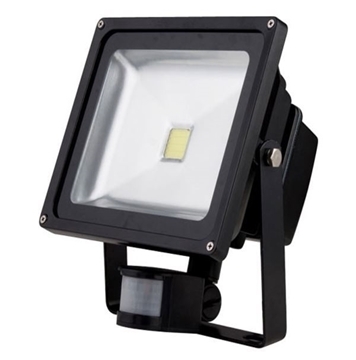 LED flood lighting with long light flux of 16,000 to 18,000 lumens - a very large area illumination. LED life span is 50,000 hours. 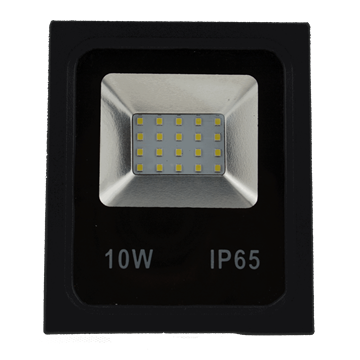 High opacity coefficient: IP65. 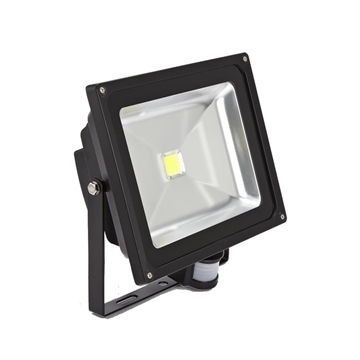 Suitable for outdoor use - Water proof: suitable for large plazas such as gardens, warehouses, industrial buildings, country, cultural and educational institutions and other sports. Installation height: 2-12 meters. 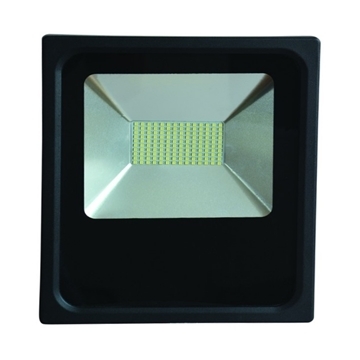 Flood lighting - LED projector power of 20W SMD lighting color: heart, warm white. Quality lighting fixture ultra-slim black. LED lifetime is 50,000 hours. Protected from water: high protection factor of IP65. Suitable for garden, terrace, courtyard, parking, pergola and more. Installation height: 2-12 meters. 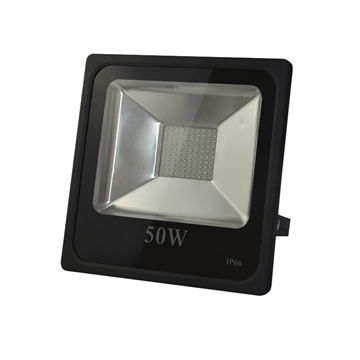 Flood lighting - LED projector SMD power of 30W. Quality lighting fixture ultra-slim black. Lighting color: heart, warm white. Outdoor use - waterproof high protection factor of IP65. LED lifetime is 50,000 hours. 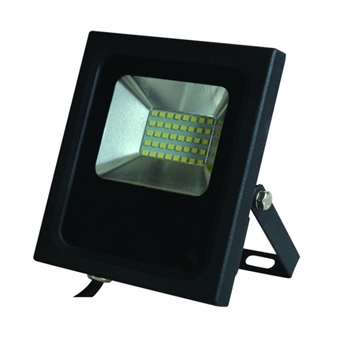 Suitable for gateway, car, halls, garden, terrace, courtyard, gazebo and more. 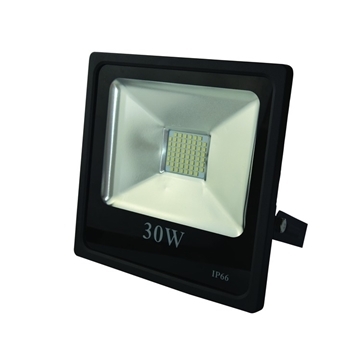 Flood lighting - LED projector SMD power of 30W. Quality lighting fixture ultra-slim black. Maximum light scattering. Lighting color: heart, warm white. Outdoor use - waterproof high protection factor of IP65. LED lifetime is 50,000 hours. 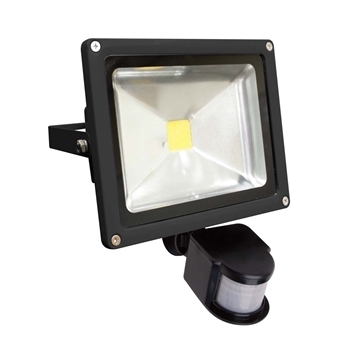 Suitable for gateway, car, halls, garden, terrace, courtyard, gazebo and more. 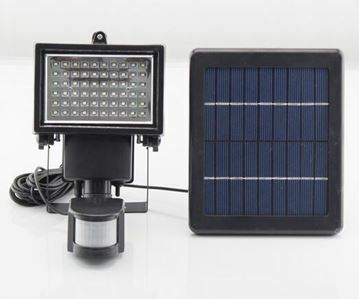 LED projector with a large solar panel power of 10W - very strong! 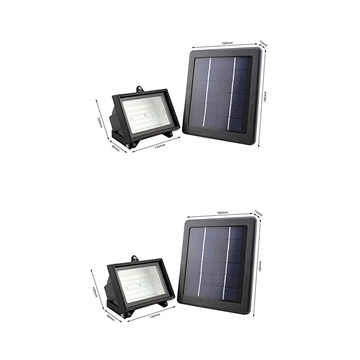 Powerful solar panel of 9V 500ma. . Yellow stand. Comes with a very powerful battery of 4400mah 7.4v. Connecting cable 5 meters. Can be installed at a height of 3 meters. Total weight of 1.14 kilograms. Light color: white. 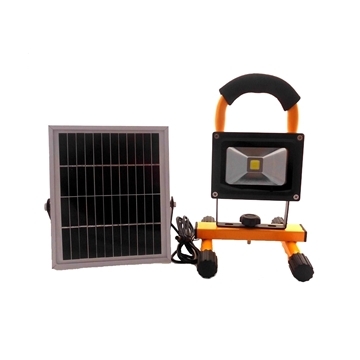 (LED flood light Solar (You can also charge in vehicle and in the wall with a DC voltage transformer of 8.4V / 9V / 12V 1A. 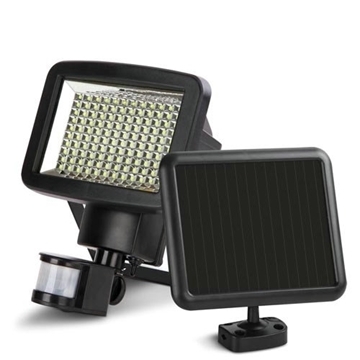 A pair of powerful solar LED projector with 30 LED bulbs. 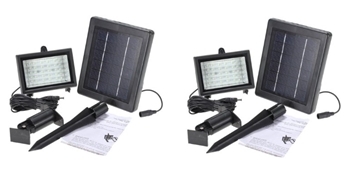 Each one comes with a solar panel cable connection of 5 meters. Without connecting to a power source. A powerful 2000 mah battery. Loads for 8 hours. Color light: white.